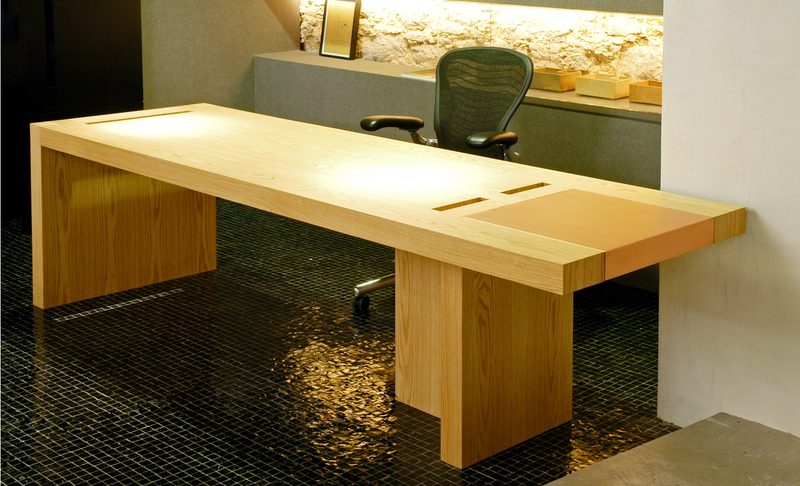 The conception of the Catete table starts with its primary lines and its apparent structural simplicity, where the extensive gap challenges the limits of material. 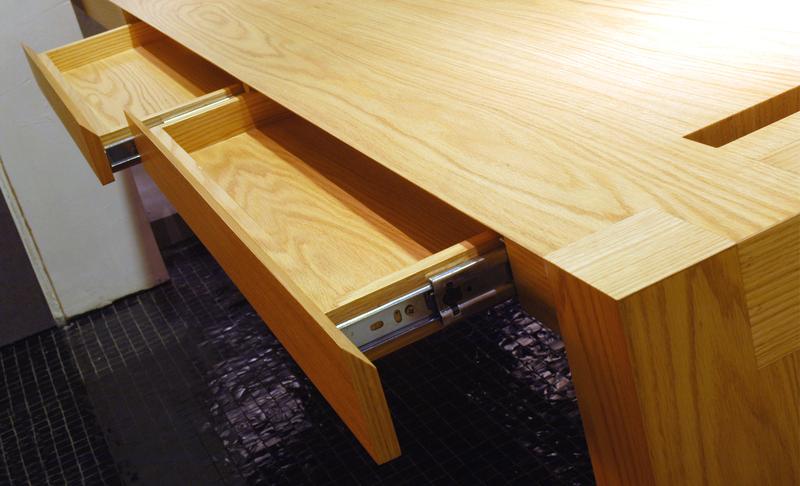 The table is supported by two feet, each fulfilling its duties in a different manner: fitting and support. The slits make up its geometry and connect to the fitting and design of the feet. These slits allow the passage of wires, in case the buyer uses functional equipment. 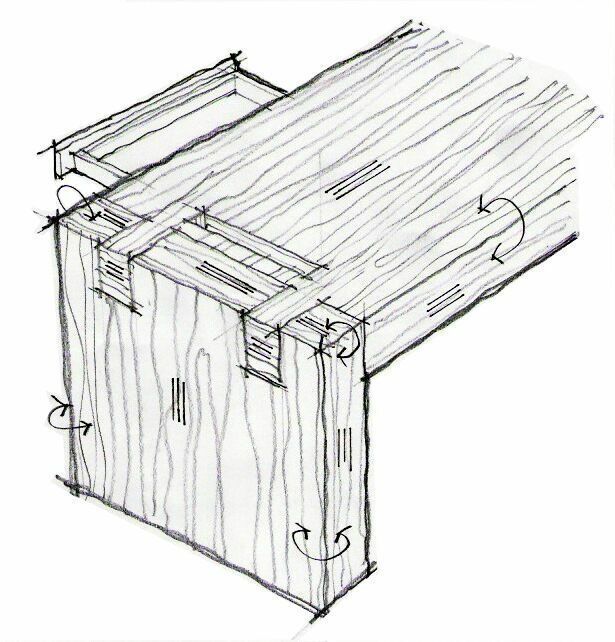 The lateral foot with dovetail fitting gives the impression of continuity towards the top. The intermediate T- foot serves as a support for the top and makes of its design a niche for accommodating a wheel cart with drawers or a computer CPU, according to the user’s needs. 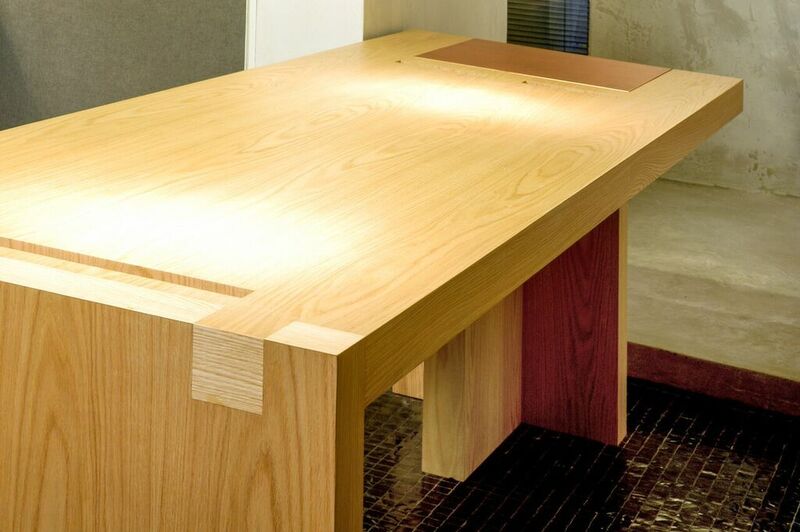 Two drawers are concealed in the thickness of the top. They were designed for the storage of papers and office appliances. They were made in half frame so that, when they are closed, they would form a piece with a solid appearance. A square copper drawer, like a box fitted to the top, creates a different area of interest which, in an element of surprise, opens up and carries along its own thickness.